THE STORY - In the cutthroat world of fine-art trading and representation, up-and-coming agent Josephina (Zawe Ashton) stumbles across a secret weapon: hundreds of dazzling paintings left behind after an elderly tenant in her building dies. Ignoring the instructions the clandestine artist left to destroy his work, she promptly starts circulating the paintings, which soon attract the attention of the heavy hitters around her—including her boss Rhodora (Rene Russo), art critic (and Josephina’s sometime lover) Morf (Jake Gyllenhaal), and competing collectors, managers, and curators like Bryson (Billy Magnussen) and Gretchen (Toni Collette). Yet as the deceased artist’s portraits gain posthumous acclaim, they also awaken something imperceptible and sinister that threatens to punish those who have profited from his work. ​​​In “Velvet Buzzsaw," Dan Gilroy’s third directorial effort, the writer/director takes a break from exploring idiosyncratic lead characters, as in “Nightcrawler” and “Roman J. Israel, Esq.," and instead has put together an ensemble horror film about the cutthroat world of art exhibition and critique. It is also itself a critique of the dehumanization of art, a seemingly direct response to the common refrain of “separate the art from the artist." Gilroy crafts a tale about the importance of recognizing an artist’s humanity in their work, and valuing the life they led and the sacrifices carried out in order to create. When struggling art exhibitor Josephina (Zawe Ashton) discovers both her neighbor’s corpse and the disturbing paintings he left behind, she thinks she’s found the next big thing to hit the art world. But once the pieces go public, disturbing things begin to happen to those who have facilitated the late artist’s sudden fame. Leading the ensemble cast is Jake Gyllenhaal as an abrasive and unsubtle art critic hilariously named Morf Vandewalt. Seemingly a direct continuation of the type of performance he gives in films like “Nightcrawler” and “Okja," he takes every possible choice and magnifies it tenfold. It’s the kind of performance that is hard to not enjoy because of its sheer abandon. It’s clear that he had fun making this movie, which is something I always appreciate from an actor. Toni Collette is similarly delicious as unsympathetic curator Gretchen who uses a frightening smile to get her way at any cost. The standout of the cast, however, is Rene Russo as punk rocker turned gallery owner Rhodora Haze, who takes Josephina’s discovery of Ventril Dease’s work and puts it on display, despite Josephina knowing that the work was intended to be destroyed upon its creator’s death. Russo is given some truly obvious lines of dialogue (at one point she feigns surprise towards Gyllenhaal’s character by telling him “oh wait, in our world, you’re God”) and serves them to the audience like a pro. She plays cynical without being tiring or unpleasant; every time her character was on screen, I was delighted. It’s unlikely given the subject matter, but if this were to be Russo’s overdue Oscar nomination, I wouldn’t protest. Gilroy’s intent with the film is to force the audience to consider artists as people too. Dease’s paintings were created as a way for the artist to work through his troubled past and were never meant to see the light of day, let alone be displayed and purchased for ungodly sums of money. When his wishes are disobeyed, and supernatural forces start to punish those who made his work public, it’s a lesson to both the victims and the audience. It tells us that artists not only deserve the right to decide how their work should be experienced (if at all), but also that they have given a piece of themselves to create this art, and it should not be treated as just another commodity from which money can be made. Gilroy seems to say that art should not be separated from the artist because the art is the artist. Where the film struggles are in its horror elements. While the actual art created for the movie is unique and haunting, the supernatural deaths and dismemberments enacted by these pieces are shockingly uncreative. With the exception of the final two acts of violence, the film’s deaths are not only unimpressive, but they are also disappointingly not scary. It also misses the chance to be completely schlocky, which would have given the film the potential to be a cult hit, and is instead strangely reserved for a movie about murderous paintings. In addition, the logic behind the artist’s curse is explored too briefly. There is a small subplot regarding what type of “paint” Dease used to create his pieces, and it is so quickly referenced that it would have been better if there was no attempt at giving an explanation at all. 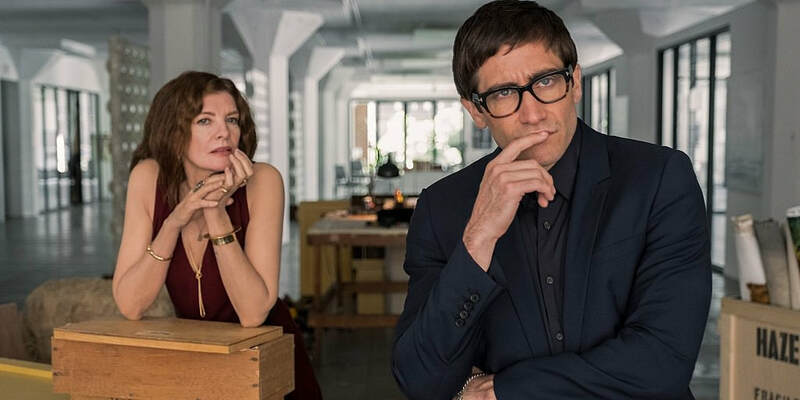 Ultimately, “Velvet Buzzsaw” has a strong message with a disappointing execution. The cast and the original art created for the movie make it worth watching, but if you’re looking for a spooky or campy piece, you might leave this exhibit disappointed.